In honor of the Alama Drafthouse Screening Series, as well as the inaugural episode of The Hollywood Gauntlet, I’d like to take a look what is widely considered to be the greatest movie summer of all time. Of course, this is not a season I was in existence for, but the waves made by this slate of movies were instrumental in my childhood and filmmaking career. Quick Reminder of the “7 Summer Movie Memories” Protocol: These movies are picked to represent their summer movie season as a whole, even if I’ve not seen them, although theatrical viewings do carry more weight as personal experiences. I first watched this Arnold Schwarzenegger classic in the summer of 2002, while I was catching up on some of his titles I hadn’t ever seen. It’s certainly the kind of film we don’t get anymore: Expertly constructed, brutally nihilstic, and unapologetically savage. These days, we get plenty of gorey shock action films like Crank or – well, Conan the Barbarian (2011) – but never any that are as clear-cut and masterfully shot or edited. All that said, despite it’s awesome first act and amazing score, Conan doesn’t really resonate with me. 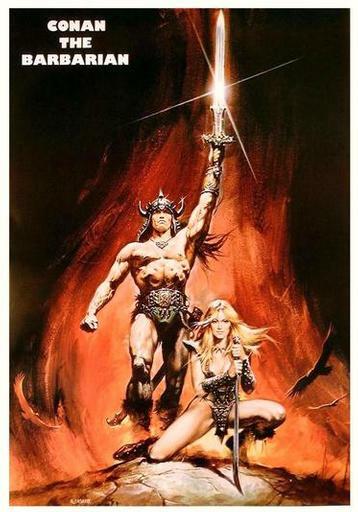 I’ll go so far as to say I don’t find Conan the Destroyer to be sacriledge! Regardless, what a fantastic way to start an amazing few months of popcorn cinema. This might become a theme of some sort: Again, they don’t make them like this anymore. The Road Warrior is a simple, straight-forward, and wholly original take on the Western formula. It also stands as one of the great sequels, after an interesting – but lacking – first film. Truly the star here is George Miller, who never topped himself, even with the talking pig of my last entry. The climactic car chase of The Road Warrior is parts Stagecoach, parts Duel, and 100% pure adrenaline. I just recently had the pleasure of watching this during a Rocky marathon. Not only does Rocky III work beautifuly as the last act in the trilogy that leads with Rocky and Rocky II, it is also my favorite film in the series. While it lacks the grit and realism of Rocky, it makes up for it with a fantastic structure, dynamic energy, and great performances across the board- especially from Burgess Meredith and Mr. T.
Okay, I’ll go ahead and admit it now: This entire edition of 7 Summer Movie Memories is going to be a gushing love-fest. 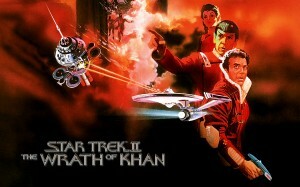 I am a massive fan of Star Trek: The Motion Picture, but I can’t deny that Wrath of Khan brings a level of drama and tension to the adventures of the USS Enterprise not seen since the very best Original Series episodes. Nicholas Meyer brilliantly extrapolates the Naval overtones of Roddenberry’s original, Old West-inspired concept. It’s the perfect example of a franchise reimagined in a refreshing way without betraying character and tone. Wrath of Khan also gets bonus points for kicking off a great series arc, continuing through Star Trek III: The Search for Spock and concluding with the goofy and fun Star Trek IV: The Voyage Home. Here’s a dark confession: I hated E.T. as a kid. I didn’t think it had enough action, and its lead characters were children, something I did not enjoy. I preferred my films to be either animated, or stone cold rollercoasters featuring grown ups like Indiana Jones or Batman. So, not only was this soft, suburban fairy tail not very interesting to my older brother or dad, it also didn’t offer much to me. However, as an adult, I’m more than willing to admit that E.T. The Extra Terrestrial is an undisputed masterpiece. Not only is Spielberg’s use of light and framing an absolute wonder, but the story itself is impossible to hate. In a summer of dark sci fi and fantasy actioners, it’s no wonder that such a light, heart-warming film broke all those records. There’s not much left to say about what is now considered an all-time classic, but it’s completely concievable that Blade Runner’s theatrical cut wasn’t a hit with audiences. Despite the film’s amazing cinematography, design, effects, and Vangelis score, its original cut is nearly sunk by Harrison Ford’s awful voice-over. I myself wasn’t a fan of Blade Runner when I first watched it as an adolescent, but can you blame me? All those flying cars, the futuristic design, and the film’s title – not to mention Ford’s involvement – set a certain expectation for a fan of Indiana Jones, but the film is much closer to a Fellini film than Spielberg. Regardless, I’m blessed to live in a world where I can own five different cuts of the film, and on blu ray, no less. There’s just not another film like Blade Runner. One of the great thing about the Summer of ‘82 is its science fiction selections: Not only did we get great space adventure in Wrath of Khan and smart, thematically rich sci-fi in Blade Runner, but we also got one of the all-time great sci-fi horror films. Really, 1982 struck the perfect balance between the smart and edgy genre films of the 70’s and the high gloss blockbusters of the 80’s. John Carpenter’s The Thing represents this balance well: Loaded with tension, with amazing special effects and gut-wrenching tension. The claustrophobia of both 1951’s horror classic The Thing From Another World and 1982’s remake ended up making a huge impact on my feature film The Nocturnal Third. That’s right. 1982 was a year so packed with classics that I couldn’t limit my selections to 7. Here’s a great example of high-stakes animation aimed not only at children, but audiences of all ages. In an era of floundering animated features from Walt Disney Studios, a cast-off named Don Bluth put together a weighty, textural animated classic featuring a strong female lead. Certain images from this film burned their way into my childhood brain, especially the reveal of the ancient mouse Nicodemus and the lair of the monstrous Great Owl. It’s this harrowing all-ages adventure that makes 1982 an incredibly well-rounded Summer movie season. Wow. There you have it. It’s hard to think of any Summer movie season that could compare. The only downside is that I’m forced to experience these classics on DVD and Blu ray, rather than in the theater with all those lucky folks thirty years ago. That’s it! Be sure to check out the latest Film Nerds Shelf of Shame post from Craig Hamilton! Also, head over to The Nocturnal Third website to see the first ten minutes of Wonder Mill Films’ newest film, written and directed by yours truly. Thanks for reading!